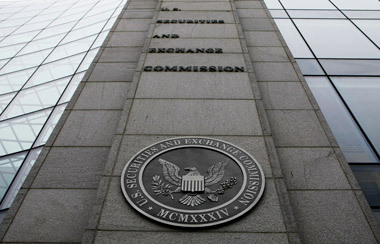 SEC adopts final rules to facilitate smaller companies access to capital by updating and expanding Reg A. The Securities and Exchange Commission on Wednesday adopted final rules to facilitate smaller companies’ access to capital by updating and expanding Regulation A, an existing exemption from registration for smaller issuers of securities. The rules, mandated by Title IV of the Jumpstart Our Business Startups (JOBS) Act, include an updated exemption allowing smaller companies to offer and sell up to $50 million of securities in a 12-month period, subject to eligibility, disclosure and reporting requirements. The program has been lauded for effectively streamlining the state review process that promotes efficiency by providing centralized filing, unified comments, and a definitive timeline for review, Beatty said. The final rules (referred to as Regulation A+) provide for two tiers of offerings: Tier 1, for offerings of securities of up to $20 million in a 12-month period, with not more than $6 million in offers by selling security-holders that are affiliates of the issuer; Tier 2, for offerings of securities of up to $50 million in a 12-month period, with not more than $15 million in offers by selling security-holders that are affiliates of the issuer. Tier 1 offerings will be subject to federal and state registration and qualification requirements, and issuers may take advantage of the coordinated review program developed by NASAA.